*Mary Ann Connell will have a book signing at Off Square Books in Oxford this Tuesday, April 11, at 5 p.m. She will also have a signing on Monday, April 10, at the library in Louisville, her home town. Other reviews follow in Memphis and at Lemuria Books in Jackson during the rest of the month. In “An Unforeseen Life,” Connell looks back on a life that began in Louisville, Mississippi, a marriage that took her to the Delta, and a career path that opened up when she enrolled at Ole Miss. She writes with equal focus of preparing her home for meetings of the Browning Club and preparing exhibit folders for trial, and her memory of entering a rush bid in Fulton Chapel rhymes with her recollection of enrolling for graduate study at Harvard Law School. As an undergraduate, Connell wrote for The Mississippian. She never missed a class when she took a course from Jim Silver. She made a B in bowling when her team partner Jake Gibbs made a C. She was chosen as Miss Ole Miss. 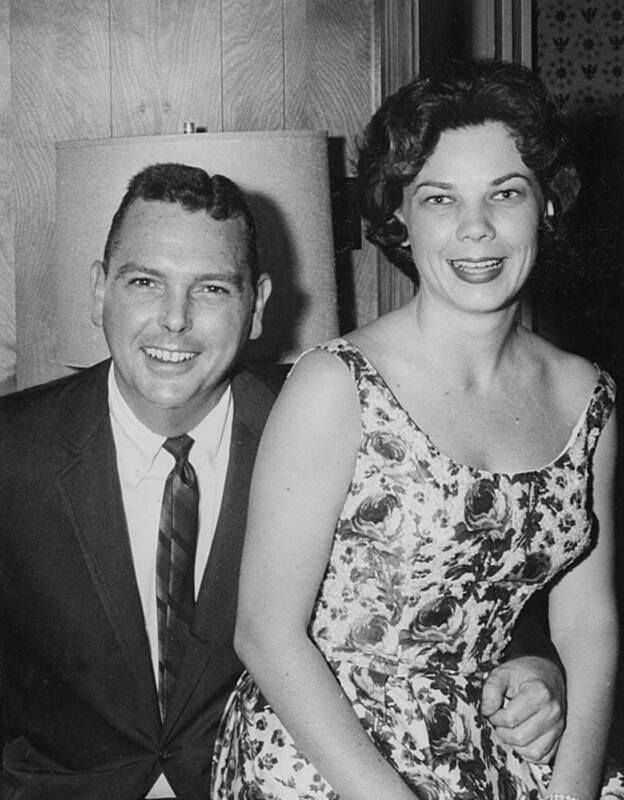 Mary Ann Connell (then Mary Ann Strong) and Bill Connell, in 1959, a year after she was named Miss Ole Miss. There are many accomplishments recorded in this book – also a great deal of hard work. There is no self-indulgence; the book narrates more often than it pauses to reflect. As well as success, there is sadness. Connell speaks of her young brother’s death in a tragic childhood accident, of suffering a miscarriage on the same day that her father died, of her husband Bill (a notable photographer in Oxford) and his losing struggle with cancer. Connell remembers well the era of her youth, “when women did not openly disagree with men.” Her husband loved her deeply, but thought other men were crazy when they suggested that she serve on a hospital board of directors or the vestry of St. Peter’s Church. When Connell enrolled in law school, she did it secretly. She balanced first-year courses with four young daughters, Girl Scout meetings, and Sunday-school teaching. Her husband found out only when a friend asked her about Torts class. “Bill was furious,” Connell writes, acknowledging her deception, but making a lawyer’s pun. “I kept my opinion to myself, but I did not believe Bill was acting like the reasonable man.” Her self-assurance was vindicated. 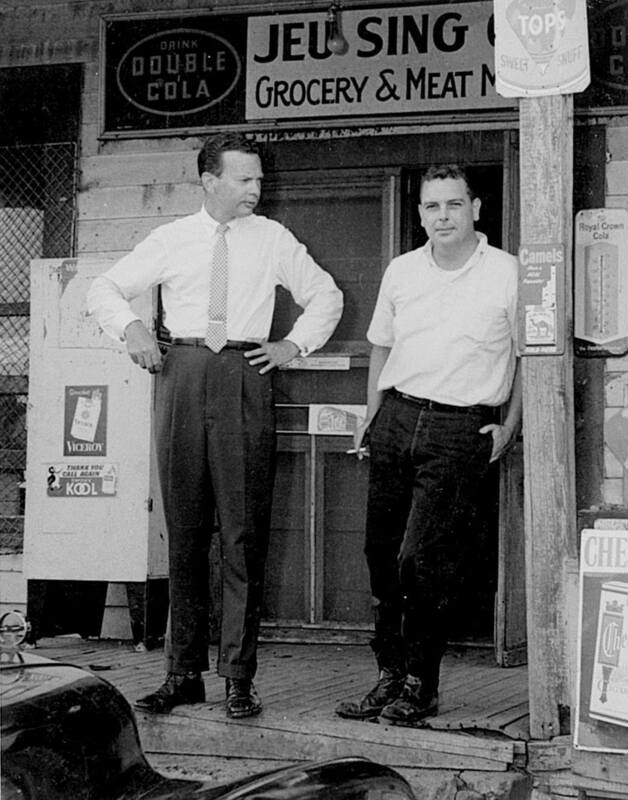 Bill Connell and newsman David Brinkley on the porch of Jeu Sing’s store, a Delta Chinese grocery at Rena Lara, in Coahoma County. Bill Connell entertained Brinkley and his NBC film crew during Brinkley’s visit to the Delta in 1963. Connell served as university counsel during the administration of three chancellors – Porter Fortune, Gerald Turner, and Robert Khayat. She sketches quickly the fast pace of legal work in academia: how her office handled NCAA inquiries, Title IX matters, Ku Klux Klan marches, student shenanigans, and tragedies (the 1987 highway accident in which five Chi Omega sorority sisters died). She balances the resentment that arose when Ole Miss banned the waving of Confederate flags during football games (technically, by banning flagstaffs and other sticks from the stadium) with the recognition that the University achieved: the establishment of a Phi Beta Kappa chapter, an honor that the school had sought for decades. When Theora Hamblett bequeathed 350 paintings to Ole Miss, a copyright lawyer in Washington asked a fee of $30,000 to register copyright to the works. Connell looked up the law, traveled to Washington, and did the work herself. Five chapters cover the trial of Billy Brewer’s lawsuit against the University, for wrongful termination following a recruiting scandal. The trial ended with Chancellor Khayat and Ole Miss athletic director Warner Alford on the witness stand, testifying against Brewer. “Warner, Robert, and Billy had been teammates. Billy was the holder for Robert when he kicked field goals for Ole Miss. [They] practiced for hours after all the other teammates had finished. Billy and Robert were drafted the same year and were rookies together on the Washington Redskins team. Warner and Billy had worked together for nearly a decade as athletics director and head football coach . . . .
Those lines testify to the density of social connections witnessed by this book – in Mississippi as a society, in the continuing life of a university, in the career of its author. There are touches of Eudora Welty in this book. Connell’s great-aunt was called “Sister” by her family; Connell called her “Aunt Sister.” There are touches of Faulkner – or perhaps, given Connell’s eye for irony, that other great writer associated with Ole Miss, Florence King. One of Connell’s first clients was a countryman who hesitated to tell his legal troubles to a woman, but found no one else in the law-office at 7:30 in the morning. Grateful for her advice, he later presented her with a bulging sack of freshly-killed raccoons. Connell’s career may have been unforeseen (as her title suggests). She never claims to have set out to break the barriers that faced women who were reared in the Mississippi of her childhood, but she notes how each of those barriers fell. And it is clear that it was Connell’s efforts that carried her. In her college and her community, she was pushing as hard as anyone else and harder than most, and she could draw on the connections that she forged. Rather than complaining about the ceiling being glass, Connell records in passing how it shattered around her. There is a phrase that is often seen on t-shirts: “Well-behaved women seldom make history.” Perhaps. But well-brought-up women very often do. Allen Boyer, Book Editor for HottyToddy.com, is a native of Oxford. He lives and writes on Staten Island. His book “Rocky Boyer’s War,” a WWII history drawing on his father’s diary, will be published next month by the Naval Institute Press. Looking forward to seeing Ms. Connell in Jackson for her book signing. As you know, she was our neighbor for a good while on Philip Road in Oxford. Would love to read your dad’s book also! Joe, thanks; good to hear from you. Look for “Rocky Boyer’s War” on May 15th (or pre-order it from Square Books, another bookstore, or on-line from the Naval Institute Press or Amazon). Thanks for your comment again, and tell people hello.